My name is Kate and I’m addicted to buying cookbooks. In between purchases I try to get my fix from blogs and magazines and websites, but there’s nothing quite like a physical cookbook with its secrets and stories and real pages to prop open. 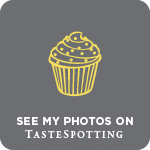 Ask my husband to verify this fact and he’ll wryly smile before leading you to our spare room where a whole wall of evidence awaits: Ottolenghi snuggled between Annie Bell and Richard Bertinet, beneath rows of River Cottage, River Café, Hugh, Delia, Jamie and more. This army of cookbooks isn’t just made up of big name bestsellers. I love to see how home cooks approach recipe writing and the recent rise of food blogs to books has opened up a new world of temptation as far as cookbook buying goes. These books don’t just share recipes but invite you into the kitchen of their author, the personal tone making them incredibly satisfying; a feeling of sitting down at someone’s table rather than simply being dictated what to make. The past couple of weeks I’ve been cooking from three new books (I told you I have a problem): Sara Forte’s Bowl + Spoon, Tara O’Brady’s Seven Spoons and Rosie Birkett’s A Lot on Her Plate, which I want to focus on today. Rosie writes the kind of recipes that have me running to my kitchen, hers are the ingredients I love to use and the food I love to cook but that little bit different, better, braver. So far I’ve made her kale pancakes, a melting pork loin wrapped in belly with the crispiest of crackling, tackled a whole octopus one evening after work and baked these madeleines. The recipes in Rosie’s book make cooking exciting and effortless, something to enjoy for a solo breakfast, weekday dinner for family or feeding a crowd of friends. 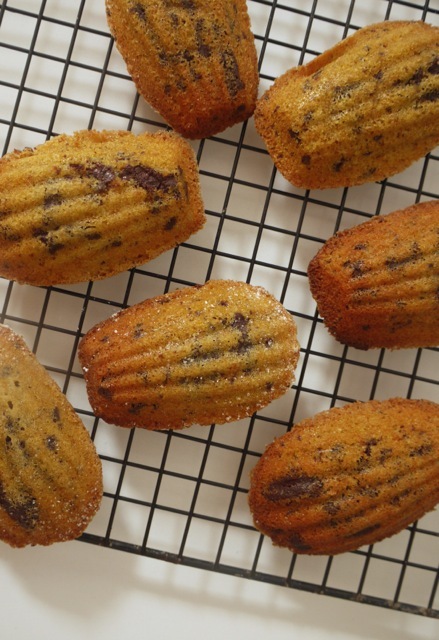 The recipe I’m sharing today is for madeleines. The cherry pie on the book’s front cover is on my list for when we next entertain but for simple baking pleasures, these little cakes really hit the spot. The original recipe calls for ground and stem ginger, but since I had neither in my cupboards I went the chocolate orange route with the remains of a dark chocolate bar. The only other tweak I’ve made to this recipe is to brown the butter – I did this by default before realising the recipe called for simply melted butter – but it’s a happy accident in my opinion. 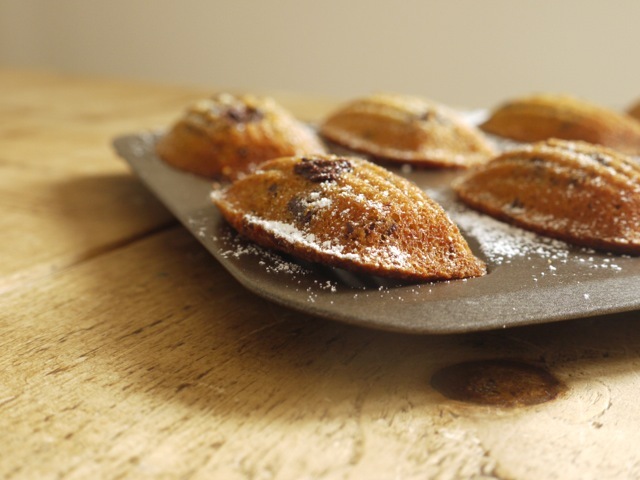 The nutty, buttery notes work beautifully with the chocolate and orange, and while I’ve not yet tasted the original version, these madeleines are as tender and full of flavour as can be. 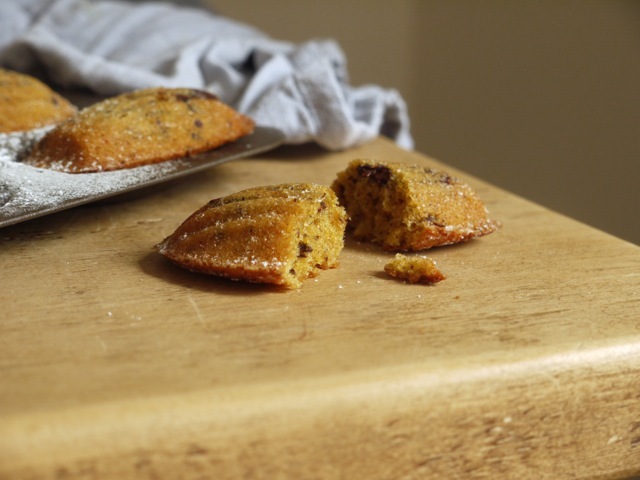 Nutty, buttery little cakes with warming orange zest and chunks of melting chocolate. This recipe is very barely adapted from Rosie Birkett's wonderful new cookbook, A Lot on Her Plate. In a medium saucepan, melt the butter over a medium heat. Once melted continue cooking until the milk solids begin to brown and the butter smells rich and nutty. Remove from the heat and pour into a small bowl, then set aside to cool completely. Grease a 12-hole madeleine pan with butter and lightly dust with flour. In a large bowl or stand mixer fitted with the whisk attachment, whisk the eggs and sugar until pale and fluffy. Sift over the flour and salt then fold into the mixture along with the almonds, cooled brown butter, orange zest and juice. Fold in the chopped chocolate. Leave the batter to sit for 30 minutes and preheat the oven to 220 degrees C/400 degrees F.
Spoon or pipe just under a tablespoon of batter into each hole in your madeleine tin, making sure not to overfill as the mixture will puff up as it bakes. Bake for 8 - 10 miutes, until golden brown and domed in the middles. 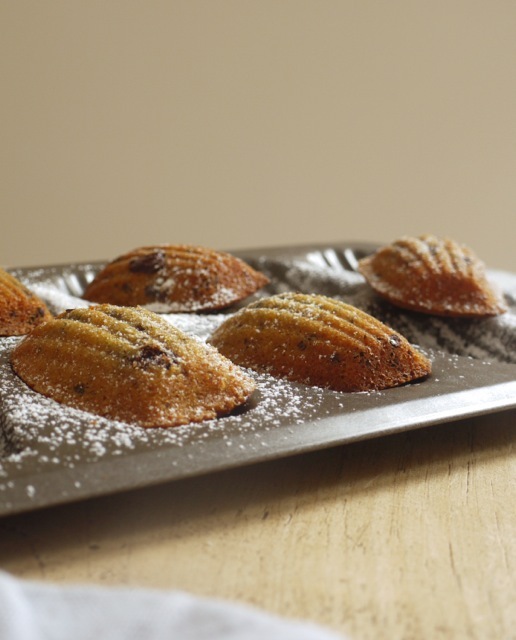 Once baked, removed the warm madeleines from their tin and leave to cool on a wire rack. Dust with icing sugar, if you like, then serve warm or cold. The madeleines will keep in an airtight container for 2 - 3 days. These sound incredible!! Love the chocolate in there! It’s very difficult to beat a good madeleine and these look wonderful. 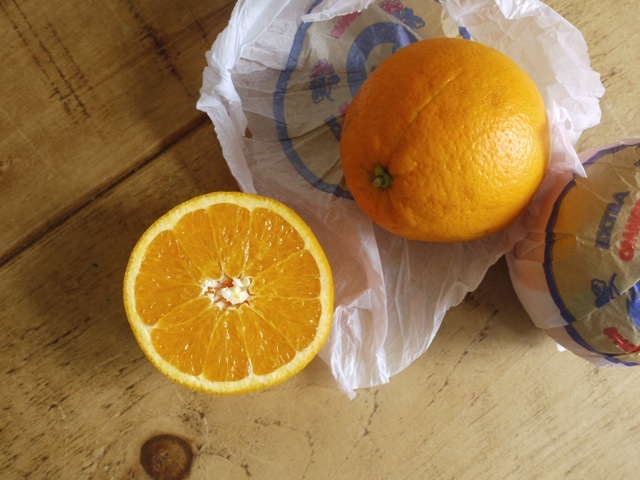 Plus chocolate + orange is always going to be a winning combination. Hurrah for all the wonderful cookbooks that have come out recently! These look beautiful, and I can just imagine the lovely smells coming from your kitchen when these were baking! They are such a beautiful color too! I too have a cookbook habit, I have an entire bookcase full. Maybe we should start a support group. They look wonderful! Great cookbook recommendations too. Lovely, made them this afternoon and they were delicious! In fact several where eaten straight from the oven befor they had time to cool. Thankyou for a great recipie. Beautiful madeleines! I dipped mine in dark chocolate and am now eating a fistful with a cup of tea while watching the Great British Bakeoff – heaven!